Divisi belts "Start a Riot" by Jetta, led by soloist and music director Caitlin Byers, at the ICCA finals in New York City, April 2016. There are brackets, wild cards, Cinderella stories, upsets and champions. And, no, we're not talking about basketball. We're talking about a cappella. 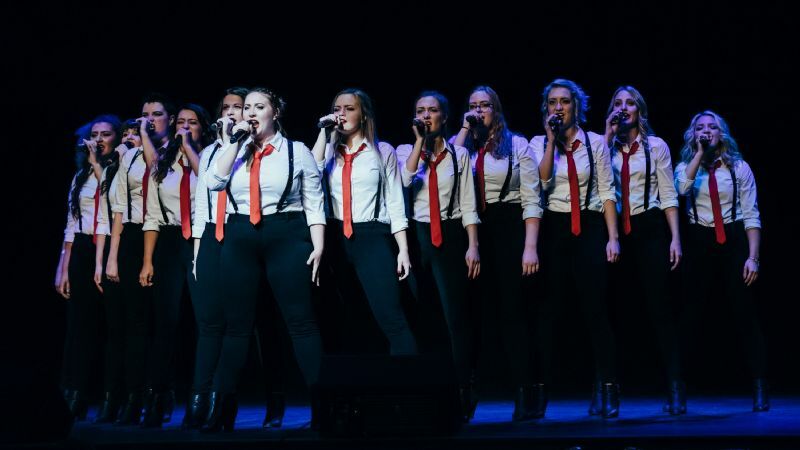 And Divisi, the all-female group upon whom the book and movie Pitch Perfect were based, was fighting for their first International Competition of Collegiate A Cappella (ICCA) title April 30 in New York. 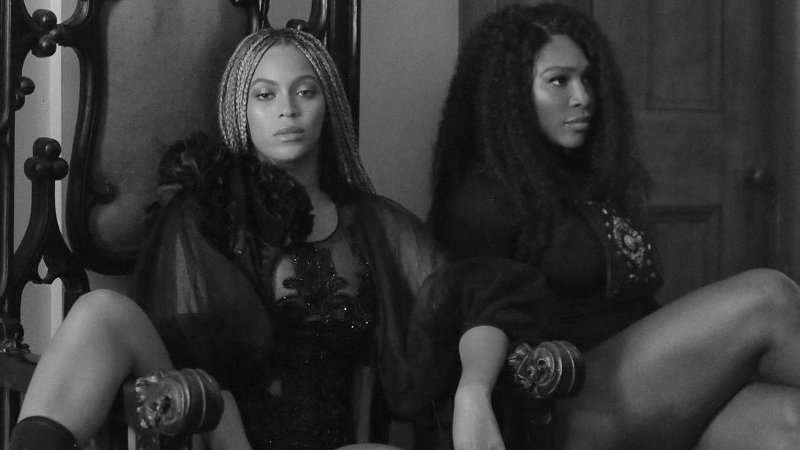 It was the first time an all-female group made it to the finals since 2011. "I do really want to win," group mate Jordyn Brown said before the final performance. "But I also just want us to get our message out there that female a cappella is amazing." But the University of Oregon's Divisi (pronounced: dee-vee-see) was on another mission: Redemption. In 2005, the group made a splash at the ICCA finals performing Usher's Yeah, but, to the surprise of many, took second place. As the story goes, one judge's low score for the routine cost the group the crown (the rules have since changed so that the lowest and highest judging scores are thrown out). Then, in 2010, after making it to finals once more, Divisi failed to place in the top three teams. 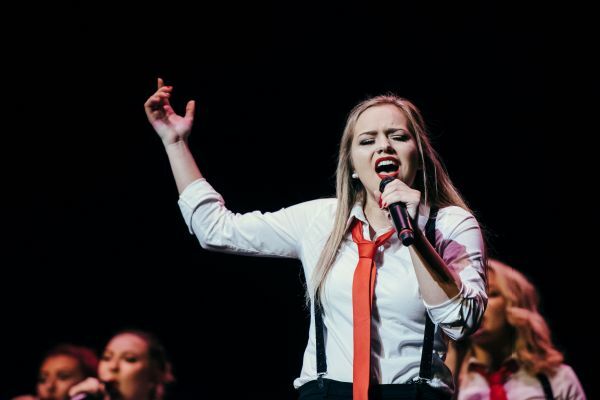 So this year, in the hopes of being just the third all-female group to ever win the ICCA finals, Divisi roared through regionals, taking their quarterfinal and semifinal to earn a spot in New York performing at the legendary Beacon Theater. "It's honestly taken until this year for us to be ready to do this again," says senior Kamari Otto. The afternoon before the final competition, the women of Divisi stand in a circle on the stage at West Park Presbyterian Church on West 86th Street in Manhattan, stretching out their limbs and discussing their day. It's the first time they've been together since they landed at LaGuardia Airport the day before. Kelsey Pargeter, a junior and the group's business manager, leads them through each stretch, her voice booming over the chatter. Pargeter is the group's bass, commonly referred to affectionately as their "lady bass." Music Director Caitlin Byers huddles them all close as they begin to warm up in earnest. The sanctuary fills with the full, biting sound that has come to define Divisi. "People think of female a cappella as being pretty, but that's not us. That's not what we do. We want to show that you can get a little ugly," Otto says. Otto and Byers are the only members to have competed in the ICCAs. Perhaps the greatest inaccuracy in Pitch Perfect and its sequel is that the Barden Bellas achieved equality for female a cappella by winning four consecutive championships. Aside from the fact that no one has ever actually repeated as ICCA champions (it's customary for winning groups to take a year or two off), the only female groups to ever win were the Loreleis from the University of North Carolina at Chapel Hill in 1996 and BYU's Noteworthy in 2007. The competition, which spans months, works like this: Each team submits an audition video to Varsity Vocals, the company that produces ICCA. If accepted, they are placed into quarterfinal regions. The top two teams from each quarterfinal advance to the semifinal, with the winner of each semifinal advancing to finals (think March Madness). 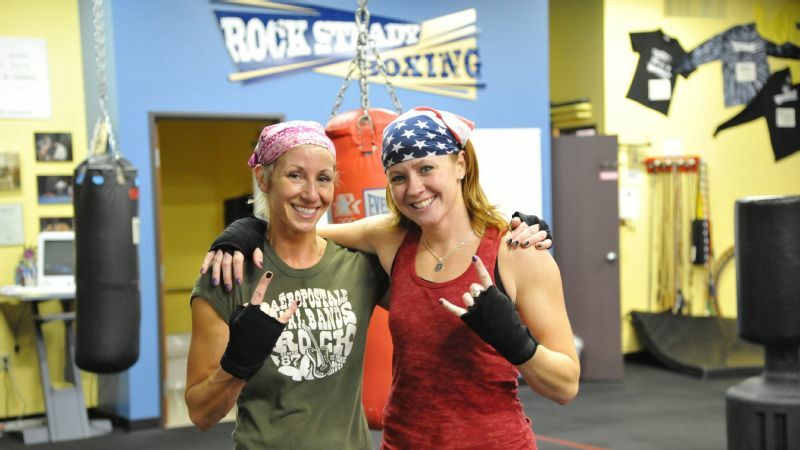 The second and third place finishers from each semifinal become eligible for the wild card. Wild card competitors submit videos of their best performance, and if they win, they also advance to finals. People think of female a cappella as being pretty, but that's not us. That's not what we do. We want to show that you can get a little ugly. Divisi won the wild card in 2010, but in the end failed to place. "It was devastating," said Rachelle Wofford, one of four Divisi alumnae who made the trip from Oregon to support the group in New York. Divisi has been perfecting their set for months. This year, they'll perform "Are You Gonna Be My Girl?" by Jet; "Manhattan," by Sara Bareilles; and "Start a Riot," by Jetta. Three hours before their finals performance, the 14 members of Divisi crowd into their two rooms at Hotel Beacon (one was provided by Varsity Vocals, and the other was rented by one of the members' parents. Fourteen women -- plus prepping hair, makeup and outfits -- is too much for one small hotel room). The Divisi uniform is black pants, white shirt, red tie and red lips, plus glittery suspenders. Prepping for performance is a group endeavor. The crowded room wreaks of hairspray. Pargeter (a.k.a. lady bass) calms herself by ironing everyone's shirts in the corner. Veronica Lindquist shuffles around with her extensive makeup collection, highlighting her teammates' cheekbones. Hair curling is done by Darragh White upstairs in the second room. White is one of two true freshmen in the group (there's a third, but she is a junior in terms of credit hours). She gently bops along to the Hamilton soundtrack as she curls her thick hair around the iron. 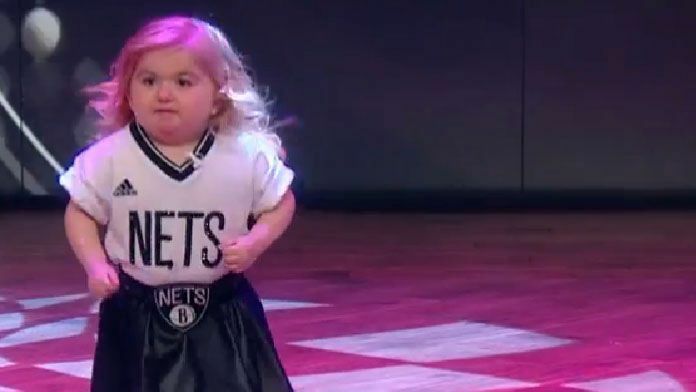 During her audition for Divisi back in October, White had a 102-degree fever and was convinced she wouldn't make the team. "We found out and told her to go home!" Jordyn Brown says from across the room. Brown is a junior who performs the solo on "Manhattan" and doubles as team mom. Divisi's audition process is thorough. Each candidate performs a song of their choosing for the current group members. If the group likes that person, they call them back for a group audition that focuses on learning a part and blending with other voices. That continues until the field has been whittled down, and they conduct a range test to see the highest and lowest notes a potential Divisi member can hit. "The first time I auditioned, they didn't take anyone," sophomore Sydney Isaac says. "It's rare, but it happens." In one of their hotel rooms, Divisi huddles as they finish getting ready. They're a ball of nervous energy. Two members had been trapped in an elevator minutes before; they were a mess. It wasn't until alumna and co-founder Evynne Hollens entered the room that things finally were able to calm down. After a pep talk from Hollens, the group held hands and sang to one another, grounding themselves in the music as they prepared to head to the Beacon. Later, Divisi struts onto the stage in a line. Excitement buzzes among the nearly sold out crowd. Five judges sat in the middle of center orchestra, awaiting the performance of the only all-female group of the night. They perform their number in a chorus of belts and flashy choreography. Sophmore Samantha Westmoreland singing a jazzy rendition of "Are You Gonna Be My Girl" by Jet at the ICCA finals in New York City, April 2016. After the last note rings out, Divisi shuffles off the stage down to the green room and collapses into one another in tears and exhaustion. One by one, each of the women exchange hugs, knowing that all they can do now is wait. Brown smiles sadly after coming off the stage. "I just realized that this would be the last time I sang this song, this way." Divisi doesn't win. They don't even place. It stings for the women, to be sure, but proving that female a cappella is compelling and empowering has always mattered more to the group. The number of women stopping them along the sidewalk outside Beacon Theater only served to prove that point. "If it wasn't for Divisi, I wouldn't be nearly the independent woman I am," Pargeter says. Of course, Divisi wants that title not just for themselves, but for every alumna before them. As they say, though, there's always next year. For the time being, they have each other, and plenty of a cappella memories to tide them over.